When I went looking for my literature paper from 1986 I found this treasure. Remember back in the day when guys would write you letters to express their intentions? No, you don’t. It’s a whole different world now. This is a real letter that I got, dated July 9, 1982. I have the envelope and stamp and everything. Hello my love. It’s I, John. What’s up? I hope you haven’t forgotten me already. I would have written sooner but I didn’t want to seem like a pest besides I’ve been working ten-hour shifts at night. I got my second pick (of a job). I couldn’t wait for the other one. I still have a chance to get the other one though. Please forgive me for not writing sooner. I’m not very good at writing letters as you can probably tell. I sure miss you. It’s so hard to be in love with someone you don’t get to see much of. I sure hope you feel serious about our relationship, but if you are not please let me know. I don’t like to be left in the dark about these things. It hurts to hope for something that will never come to pass. So please let me know the truth. Until you tell me different I will hope for the best. p.s. I can’t wait til I’m holding you in my arms again. 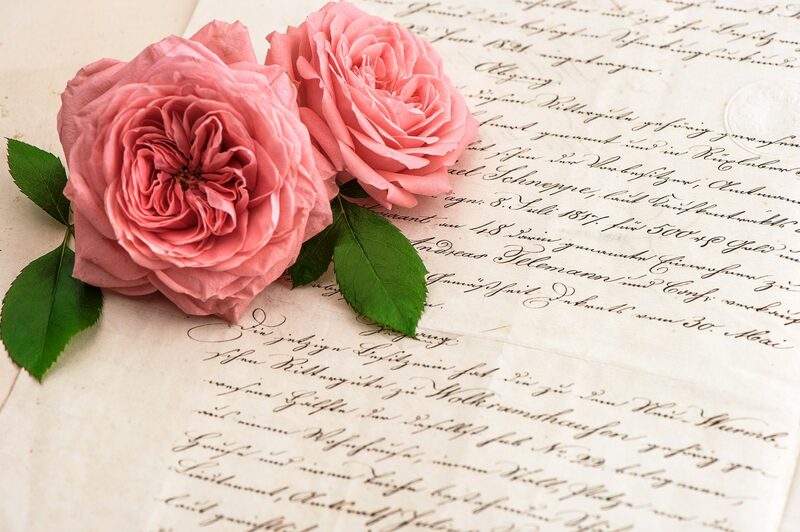 Do you find this letter romantic? Or cringe-worthy? How cringe-worthy is it when I tell you that we only had one date. One date and I received this! And I only gave him a goodbye hug!! We never had another date again. When I advise you to take a brave dating approach like giving someone a chance (within your boundaries of course) and to not limit yourself to a type and to let a coffee date be just a coffee date, you may get a dud. I did! In fact I dated lots of duds–once. But I stayed in that vulnerability of trying until I was tamed by the one didn’t rush the taming (another beautiful and sappy reference to The Little Prince) and who was a good match. I never would have known John was a good match if I didn’t give him that chance of a first date. As I’ve shared before he was not my type and now we’ve been married for 21 years. He’s my love for a lifetime. And all of those duds never defined me. A failed date cannot define me. Plus it does provide some funny memories! Brave dating practice: If someone is of good character, give him or her a chance!